Couleur Nature Joy Napkins - Miam! A modern take on classic Indian florals gives the Joy pattern a look for the entire year. The subdued colors in these napkins are ideal year round for family dining, a picnic or the breakfast nook. 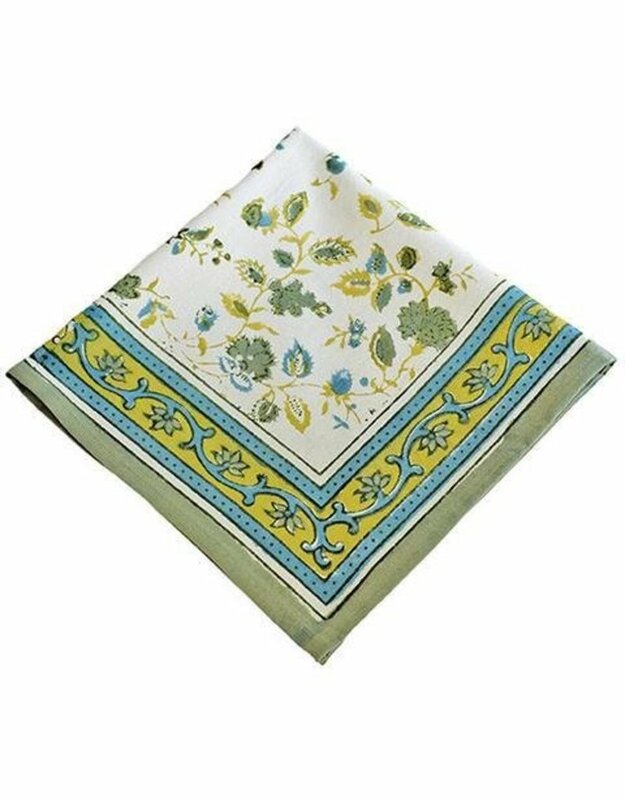 Fine French table linens, hand-printed.